Let's get down to it, shall we? 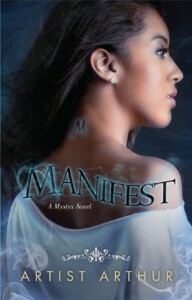 Right of the bat, Manifest reminded me a lot of House of Night. Not because of its premise or characters, but because of its writing style. And I'm sorry, but if there's ONE AREA in which you don't want to resemble House of Night, it's the writing style. It's just awful. Like HoN, Manifest's narrative is in the first-person present tense, is extremely informal and conversational in tone, and is narrated by a teenager who talks an awful lot like an adult trying way too hard to sound like authentically teen. Books like these are the reason I endlessly praise authors who have grasped the concept of 'show not tell', because either this author hasn't, or doesn't think her target audience could grasp the subtlety that that involves. 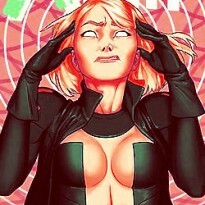 Here, it seems like every other sentence, our heroine Krystal is loudly proclaiming how she feels, or how someone else feels, or both, in the same sentence.